Wakeful Children: A Collection of Horror and Supernatural Tales now available in paperback direct from Troubador, Amazon and any good book store. Also available to order from online book sellers. Wakeful Children: A Collection of Horror & Supernatural Tales by S P Oldham. 'Wakeful Children is a collection of eleven highly imaginative and inventive short stories written by S P Oldham. You will be unwittingly taken on a journey to witness the twisted brutality of Joe Gallows, the weird dream-scape of The Sandman, the ice-cold grasp of The Face of the Gale, the elemental horror of an ancient, evil entity in Devil's Drop. You will visit some of the residents down a darkly troubled street in Absorption; watched over by a beautiful, malignant presence all the while. I am hugely grateful to anyone who takes the time to review my work, be it a line or an essay! Thank you, sincerely. Wakeful Children is a mixed bag of short stories that cover nearly the entire gamut of the macabre. There is a killer with the suggestive and eponymous surname ‘Gallows' who leaves just the right amount of violence in his wake to gratify the gore-hounds and voyeurs of psychotic behaviour; the mysterious events surrounding an oak tree which seem to be a cross between the fiction of Ramsay Campbell and Laird Barron; the thing living in a dark pool which reminded me of chilling references to an ‘Old One' living in a dark pool inside a mine in Robert Arthur's book, ‘Moaning Cave' one of my childhood favourites; a tale about chatrooms and the horror that lurks behind usernames and the myth of anonymity that the internet seems to bestow upon our bawdy behaviour. There are many more with varying quality, some of them ending with an unfinished-business-feeling for me, but none can be accused of a dearth of creativity. After all, sometimes, things left unsaid and threads with loose ends can titillate or chill us even more, like teeth and nothing but gleaming white teeth visible in the gloom. My favourite of the lot is ‘The Century Man,’ the best for me in terms of richness of idea. One of the passages seemed to define myself and how I feel about the world: He had no desire to hurt anyone; he merely wanted to be an observer, a witness, a shadow in the background. There was no room for that in these civilised days, no opportunity for blameless participation. Overall, a very eclectic collection told in lush prose. I'll read more from this author. This is another great book by SP Oldham! For me, short stories are a welcome distraction between long series. I felt like these were some of my own nightmares written on paper. From glimpses into the mind of killers to trying to drag oneself back to wake. I recommend this book for a quick and easy read just before you drift off to sleep." "In started this book two days ago...at night. I wanted to finish it that night but after reading the first couple of stories I had to stop. There is not much out there unattributed me in the horror genre but this sent my mind into hearing and seeing things. The author's writing style, word choice...amazing. I look forward to reading more of her works. The short stories are just enough and let your imagination run wild. The reader feels the characters fear, sees what they see." Thank you so much to the reviewer, I am very glad you enjoyed it and even more grateful that you left a review! "5* I love it when a new author takes my expectations and flips them upside down. This book is superbly written and from the second I picked it up I didn't want to put it down. The stories are inventive and unique and breathtaking. A lot of the other reviews discuss the story Joe Gallows - truly spot on - but they don't mention the suffocating feeling of the Sandman, or the shiver inducing Silent Night. Just see for yourself what frightens you the most, because in this book, the terror is plenty." 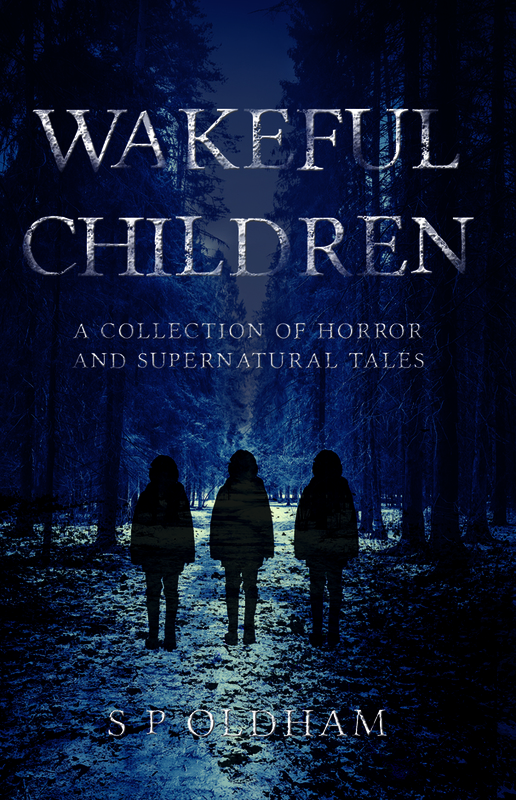 "Wakeful Children is a superb collection of eleven short horror stories by S.P. Oldham. These tales span different time periods, tackle unique fears, and linger in the dark corners of your mind for days after reading them. Murder, ghosts, time-travel, a witch, and nightmares are just a few of the terrors within this compilation. My favourite story was “Crawl” about a man petrified by a shadowy night-time stalker. I’m one of those people who, upon waking in the middle of the night, needs to convince myself that the dark mass in the corner is just a pile of clothes before I can summon the courage to get out of bed. And, after reading this story, my imagination went wild. It’s a story that really got under my skin. “Absorption” was also fantastic and pushed against the normal constraints of story telling. This experimental narrative intersperses second and third person points of view to give the reader three flash fiction stories of the strange happenings of Oakwood Close tied together by the need for suffering by an ancient, sentient tree. If true-life horrors get your heart racing more than supernatural beings, there are stories here to give you a thrill as well. “Joe Gallows” is the first entry in the collection and is a blood bath. This gritty tale of dead animals, a slingshot and revenge, is a fantastic start to Wakeful Children, and will keep you turning the pages. Oldham’s prose is eloquent and beautiful, even through gory passages, bordering on (and often crossing into) literary horror. 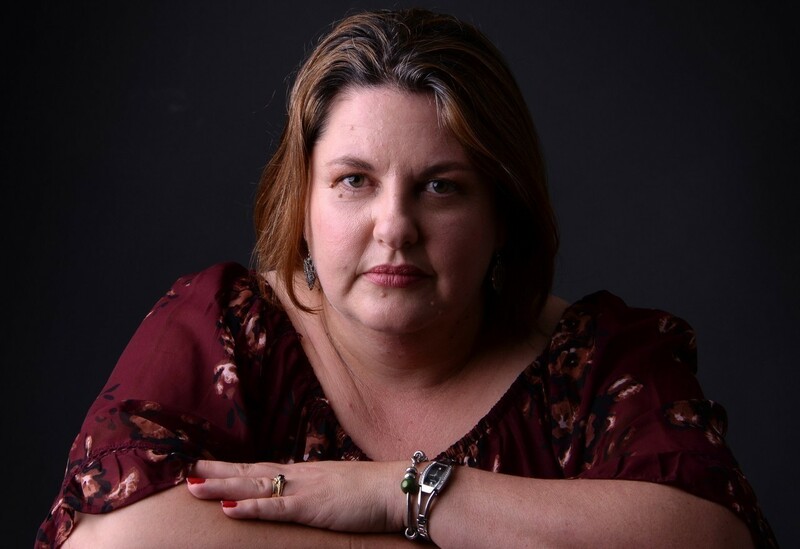 This is the first time I’ve read anything by this author, but it will not be the last." I loved this book from start to finish. S.Oldham writes cleverly & emotively.Each story is different &as you read you start to be spellbound &eager to read more.The first tale is a bit gruesome &certainly not for the faint-hearted but suddenly you are craving more of this intrigue! In summary an enjoyable read for those that thrive on tales of the supernatural &horror.Would highly recommend &look forward to reading more from this talented author." Sat and read this book in one sitting on Christmas eve. Not your normal Christmas reading but I was hooked from the first page and could not put it down. Every story has you gripped and each one is better than the last. To say I was disappointed when I reached the end of the book would be an understatement. I can not wait to read more from this author. I love this book. The stories are engaging and well written, the author will have you hanging on her every word. I heard of this book from a friend who knew the author personally and had read the book and recommended it. I initially bought this for myself and have since purchased another copy for my friend. Very well done." "5 out of 5 stars Fabulous book with creepy short stories just right for a cold dark winters night. When you are tucked up safe in bed with a cup of hot chocolate of course." I loved this book. Gruesome and compelling, this is a wonderful collection of horror stories. S.P. Oldham is a gifted writer and lends a great style to this genre. 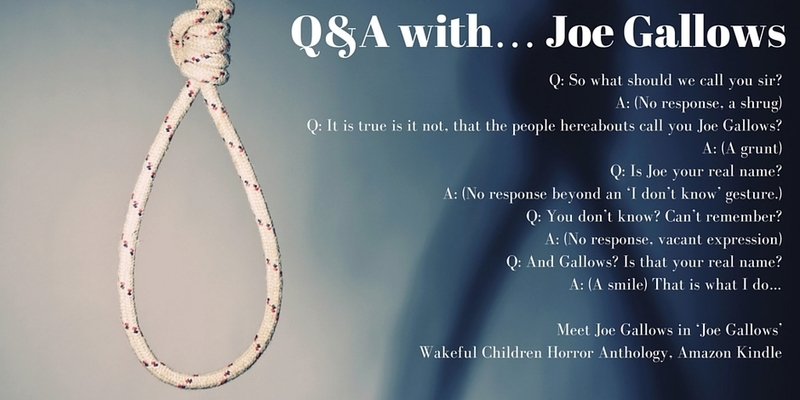 Out of all the stories, Joe Gallows will haunt you. Looking forward to more great reading from this author. This eerie collection opens with a story that will disturb the squeamish then eases into a series of tales with intriguing supernatural elements. The first story “Joe Gallows” craftily made me feel sorry for the unsavory main character before he commits his brutal acts. Joe is creepy and forlorn with a presence that reminded me of the nightly visitor in Stephen King’s Gerald’s Game. This story made me double-check my door locks! I could definitely see this character featured in a full horror novel. Creepy, creepy Joe. In every story, characters take shape swiftly and the reader is thrust into their strange predicaments with a sense of uneasiness. Folk horror elements abound with ill-intentioned animals and sentient natural elements. “Silent Night” and “The Orchard” told ghost stories of a pub and a rectory orchard so haunted that I didn’t want either to end just yet. Other stories hint at dark fantasy but connect to this supernatural thread. The story “Crawl” built suspense triggered by the simplest of sounds: tapping. The character’s distress mounted with a tension reminiscent of Poe’s Telltale Heart. “Blank Screen” offered a contemporary, yet still supernatural, jab at online trolls. I recommend this book for those seeking eerie stories. I’m now looking forward to reading Oldham’s collection Hag’s Breath to see her unique take on witchcraft and wickedness! Very gratified to get this great review just now for 'Wakeful Children: A Collection of Horror and Supernatural Tales.' Thank you so much to the reviewer, Amanda Watkins. It’s been years since I’ve read horror fiction. As a teenager I’d avidly read by torch light, Stephen King and James Herbert and scare myself stupid. Wakeful Children took me straight back to those scary nights, I was deliciously scared by the startlingly nasty and viscous stories. They start off so normal and lull you into a safe and comfortable place, swiftly descending into utter horror and shocking unease. Loved them, absolutely need some more. Perfect bedtime reading." "4 out of 5 stars A spine tingling 4 !/12 star read! I have to say the stories in this collection will haunt you and the book itself is somewhere between 4 and 5 stars because I loved many of the tales 5 stars worth and some 4 stars worth. Readers are going to find 11 short stories that take you into the realm that lies between dreams and nightmares. I read this collection just before Halloween, a great time for the theme that runs throughout the tales, but must say you can enjoy these stories anytime and maybe would like to read them with the lights on." Wakeful Children by S.P. Oldham is a delightful collection of extremely well-written short stories guaranteed to hearken readers back to a cherished past, when they sat by a fire and listened with rapt attention as granny told scary stories. For those not lucky enough to possess such memories, Wakeful Children will fill that gap. Oldham’s stories read like fairy tales cross pollinated by the Twilight Zone. Some are more gruesome than Grimm. Each tale is told in third person by a gentle, all-knowing voice that lends a haunting, personal quality to each story. Surprise endings and ambiguous conclusions will echo and linger in readers’ minds, causing them to rethink each story. The characters are all unique: old, young, men, women; some are innocent, and some are downright dangerous. Everyone can find a character with whom they can identify. The setting of each tale is precise enough to visualize, yet nebulous enough so that readers will feel that they might take place in any small town in Great Britain in various non-specific eras. The silky plots are all intelligent and well-structured. The speed of each trajectory is carefully timed to hold a reader’s attention, to draw readers more closely into the terror. A grown-up version of the boogey man deliciously lingers over every single second, savoring every bit of terror. Readers will find themselves holding their breath along with the protagonist as he hides under the covers and listens for the ticking sound to draw closer. With a jolt, Joe Gallows transforms from a singular, twisted prankster to something much more dangerous. Ghosts, witches, and even diabolic weather conditions challenge characters and test their ability to survive. Oldham’s style is clear and economical. She incorporates vivid descriptions and stunning metaphors without burdening the text with unnecessary words. The author’s attention to detail will enhance a reader’s ability visualize each setting without getting bogged down by excess. The most notable quality of the collection, is the fact that each story has a unique plot. There is absolutely no redundancy among them and no derivative retelling of iconic tales, a sad practice that is all too common in the genre. It can be said that the full-speed-ahead nature of current society is the perfect reason more readers reach for short story collections. Those who enjoy horror, hauntings, and the unexplained should give Wakeful Children a read. An author to watch out for! !!!!!! "5 out of 5 stars Bone chillingly good! Well done S P Oldham!" "terrifying twists and turns , grisly and gripping , fast paced ,Amazing collection of short stories i received in exchange for an honest review, highly recommend this book"
Racheal Roberts: "Loved this book, had me gripped from the start and couldn't stop reading. Amazing writing by a talented author. Would definitely recommend this book to anyone." "Wakeful Children is a collection of diverse and chilling tales, well-defined characters and worlds rich with astute observations and vivid sensory details. From the semi-rural horror of “Joe Gallows”, the bleak internet chat-rooms of “Blank Screen” and the varied portraits of suburban dread in-between, this anthology of short-stories from S.P. Oldham evokes the menace of Stephen King, the slow-burning terror of H.P. Lovecraft, and the fatalistic spider-webs of Edgar Allen Poe. And – as with every good short-fiction collection – there is an underlying theme: to read each subsequent story within “Wakeful Children” is to be absorbed deeper down into the eerie places Oldham creates across these startling and suspenseful snapshots, her prose illuminating a nexus half rooted in the tangible realm, and half which can only ever be glimpsed at the furthest reaches of mere perception." Author S.P Oldham understands the sheer art inherent within the weaving a truly compelling tale. From the very beginning with the story "Joe Gallows", we are lead into a dark world that rushes towards us, like the icy prick and sudden deluge of a surging wave. There is that tingle within the senses, and an emotional rush of foreboding, so familiar, in the best of stories where wickedness and unexpected events take over and you are in for the fearful ride. Such is the first presentation leading off this anthology, and immediately the reader is thrown right into the crux of the narrative. And what a narrative it is! This is just the beginning. In total, there are eleven separate tales here, each with the necessary ingredients of light and shadow to add (at the very least) a littler shiver up the spine. My personal favorites include the following: "Joe Gallows", "The Sandman," "The Orchard" and "The Face in the Gale". Any one of these stories could stand alone, be expanded into a longer work, or adapted for the screen. And while there is great diversity of tone and approach,Oldham applies a language that is concrete and yet features traces of graphic dazzle. You, as the reader, are ultimately seduced. But the author does not let go of this carefully applied grip. There is mystery, suspense, and an awesome amount of craft at work here. Even if horror, suspense and the like are not your preferred cup of brew, prepare to have your mind opened and completely blown. Well after receiving a less than wonderful review for Wakeful Children the other day, today I get this one! It is for Hag's Breath, due to be released in October, but it also gives Wakeful Children a very honourable mention! "I would like to thank the author for sending me a copy of 'Wakeful Children' in exchange for an honest review. How I love a good horror! As much as I enjoyed all the short and varied stories, the one that I would call my favourite was Joe Gallows. This was a very gruesome story and could imagine this would make a good horror movie. I rarely write what a story for fear of spoiling for others, but I do highly recommend, especially if you enjoy this genre." "I have purchased both Wakeful Children and The Mill Owners son and was ecstatic when I was lucky enough to receive this book free in return for an honest review. S. P. Oldham writes with a use of language that transports you into the heart of the tale and holds you there. The writing is detailed without being pretentious and it weaves around drawing you in. I particularly liked The Witch's Kiss but can honestly say the rest of this anthology was just as gripping. A fantastically talented author that I will continue to support "
Quote: "5 out of 5 stars. Wow! I loved this book. Every story was different and I loved the fact that some left you wondering what was going to happen. My favourite story was 'Joe Gallows', a gruesome but compelling story. Highly recommend this book."